Electronics aspirin refers to a medical technology driven by and for patients to relieve pain, e.g., cluster headaches, migraines, and other types of head and facial pain. Developed by a California-based medical technology company, it involves placing a nerve-stimulated implant in the patient’s upper gum area on the face where the patient experiences most pain. The permanently embedded insert comprises a pointed tip that connects with the SPG bundle of nerves. In the event of a headache, the patient can place a hand-held remote control device on the cheek area nearest to the implanted device. When the remote is pressed, a slight electrical charge stimulates nerve cells, which acts to block the pain signals discharged. The control of the device is completely with the patient, it can be turned on or turned off at the patient’s discretion. Prior to this, the process of inserting the device is fairly simple and involves minimally invasive surgery with minimal side effects. The procedure involves delivering a low-level electrical stimulation to the sphenopalatine ganglion (SPG) nerve cluster. Electronics aspirin is not prevented by health conditions, and can be used for anyone with allergies, heart disease, and high blood pressure, whereas medications such as sumatriptans and analgesics need to be taken under physician care due to side effects such as allergies, high blood pressure, and weight gain. As per statistics of the Global Burden of Disease Study, headache is the third-leading cause of years lost due to dysfunction. People mostly do not realize how headache poses an unacknowledged burden including battling through symptoms such as dizziness, nausea, and throbbing pain. It also impacts family, social and work life. Paralyzing headaches have become common in several parts of the world. Often related to stress, genetics, and lifestyle choices, these headaches are known to impair normal functions for patients. Known as cluster headaches, which can be mistaken as a symptom for several other incidents, they are felt in and around one eye. Also referred to as migraines, these headaches can lead to swelling, nasal congestion, and tearing. Patients often resort to self-medication, taken in the form of Aspirin to calm the stabbing pain. In a bid to help these patients, researchers are developing electronic aspirin for an effective management of this condition. The World Health Organization (WHO) states that the migraines are among the top 20 reasons for dysfunctional living across the globe. The organization also states that pain management is the primary treatment being adopted for controlling the intensity of migraines. For the same purpose, patients are advised to take medication to relieve pain and continue with regular functions of life. However, with technological advancements such as electronic aspirin are aimed at offering patients relief through implantable devices. This technology is devised blocks sphenopalatine ganglion (SPG) signals, which denote headaches. This medical technology refers to implantation of a nerve stimulation device at the side of the head or in the upper gum. The tip of the implant will connect to SPG bundle, which can be lightly touched by a handheld remote controller just as the patient feels the headache. The signals emitted by the device will stimulate SPG nerves and block the pain-inducing neurotransmitters. Autonomic Technologies Inc. (ATI) in Redwood City, California is in the process of evaluating this impressive device. ATI, who also the maker of ATI Neurostimulation System showed that the device is capable of effectively treating the cluster headaches and improving the overall quality of life. The study included 22 patients, of which 70% benefited with the device reporting a 50% reduction in pain over a period of four weeks. The ATI Neurostimulation System was approved by the U.S. FDA for testing in domestic waters in August 2014. Currently the device remains under intensive study and is expected to be thoroughly investigated over a period of several years before it is offered to patients commercially. 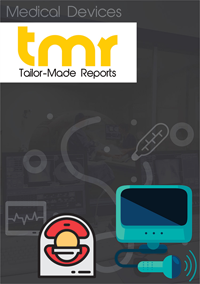 In terms of geography, the global electronic aspirin market is segmented into North America, Latin America, the Middle East and Africa, Asia Pacific, and Europe. The demand for electronic aspirin will remain high in regions that are known to have a high prevalence of patients suffering with headaches. However, its premise of being an implantable device could restrict its growth in developing countries and emerging economies, where technology is not upgraded frequently. Therefore, analysts suggests that the demand for electronic aspirin will show steady growth in developed countries of the U.S. and Canada along with other European nations. The overall acceptance of technology in this region is expected to bolster the growth of the electronic aspirin market in the aforementioned places. On the other hand, the Asia Pacific, Latin America, and Africa healthcare industry is in the emerging phase. Thus, the demand for implantable devices is slow but a steady. However, the emergence of medical tourism industry in these regions, growing investments in research and development, and increasing access to medical facilities are expected to drive the demand for electronic aspirin in these regions.